Twenty twelve was an interesting year with many major changes. Things were busy and have gotten even busier but I suspect I should make the time to write about things that I may know a bit more about. I think I’ve also been spurred on by the series of articles by Lou Burruss over at SkyD. I’ve had conversations about exactly the things that he has mentioned over the past few years by all of the movers and shakers. I’m privileged in that I know many people and they’re candid with me and I’m not going to betray that trust. At the same time I’m going to voice my opinion more freely simply because of a number of changes in the past year. 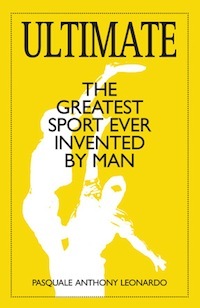 It’s 2013, time has flown, and much has happened in the world of Ultimate to write about. I suspect it’s time to return and start writing things again. I’m going to go a different route though. There’s plenty of coverage of events out there and I’m more interested in writing what I’m thinking and being less diplomatic. Expect updates and new posts here over the next few days. Hello Ultimate friends and fans. After a very long hiatus I plan on a momentary relapse before once again vanishing (online that is). I’ve been busy with work and life (those of you that know me will know what’s up) but I have still been active in Ultimate. This posting is to inform you that I’m heading to WUGC and am planning on some coverage from Japan. Postings may be delayed due to inclement weather but I shall provide a perspective of the event as it happens. I am also planning on attending CUC later this year and will update all y’all at that time. Of note should be a particular direction change. Since starting this blog a number of sites, magazines, and services have arrived on the scene that do a fantastic job of doing what we originally did. Now that Skyd and NexGen are more established it is not necessary for me to rehash what those excellent and far more capable entities observe. I am, instead, going to focus on the journey and emotion. There shall also be a few more opinion pieces that shall appear over time. Hope you enjoy the next few weeks. The end of the season was almost a month ago, we’ll be back with new content, Sidelines, and Video starting this Wednesday! My name is Hilco and Tushar has asked me to join as a contributor to IAmUltimate. I’m really excited about it, and I will try my best to come up with interesting content. I am based in Amsterdam, so I’ll mainly be writing from a continental Europe perspective. 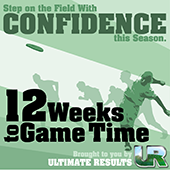 Think tournaments like Windmill Windup, xEUCF, Paganello and more. This weekend I’ll be going to the UK Tour II (The second of three weekends that make up the national competition in the UK) where a lot of big UK teams will be enjoying their last practice before WUCC. So stay tuned if you want to hear about the toughest European competitors for Worlds! (well, minus the Swedes). Good to be here, more soon!